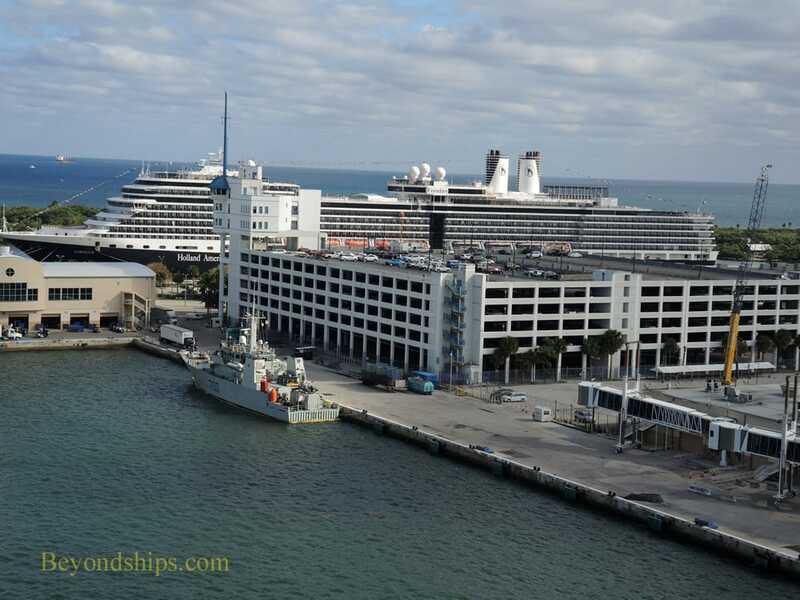 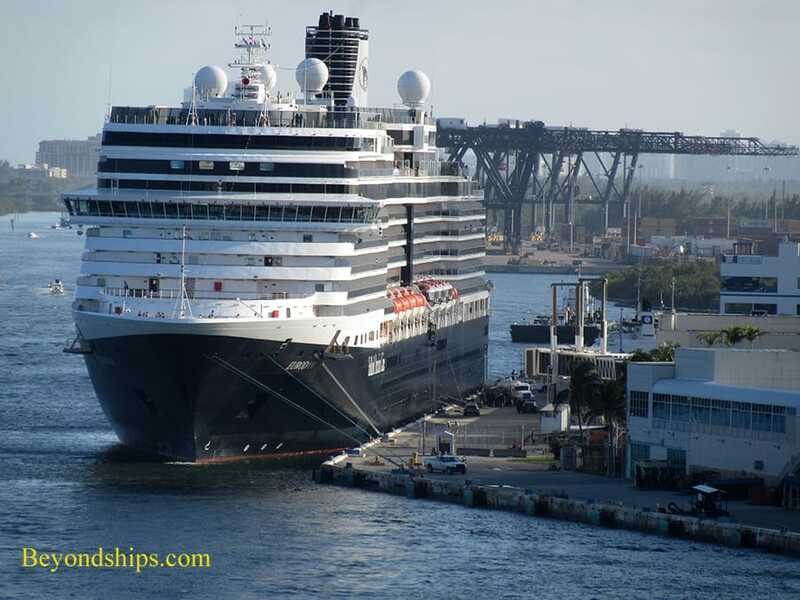 A Saturday afternoon finds Eurodam berthed at one of the terminals in the Fort Lauderdale cruise port (Port Everglades). 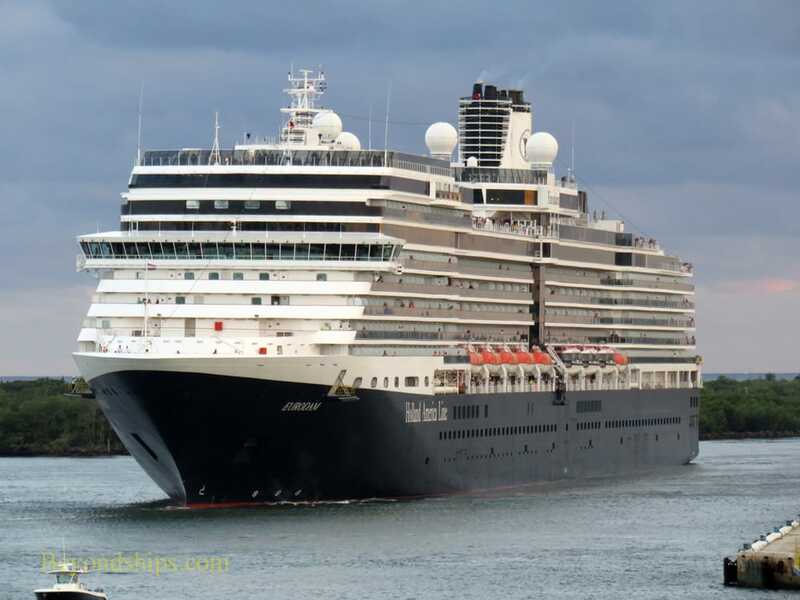 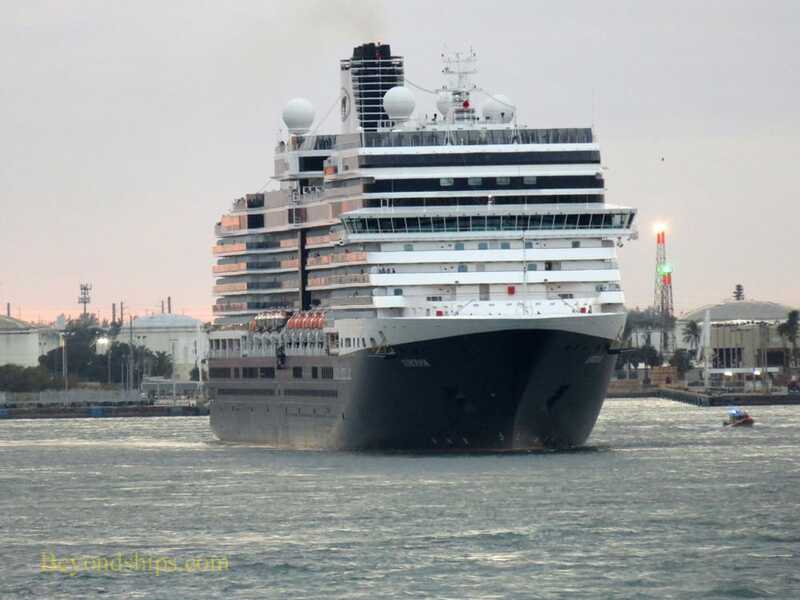 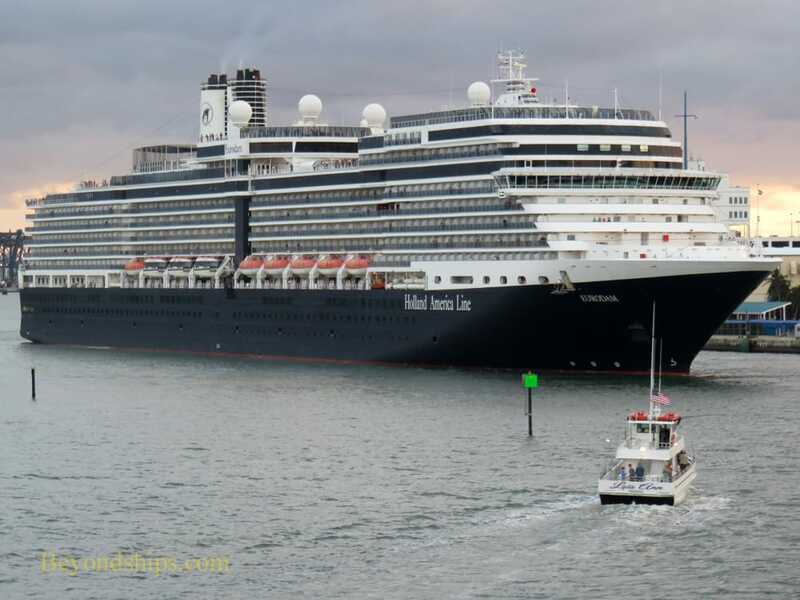 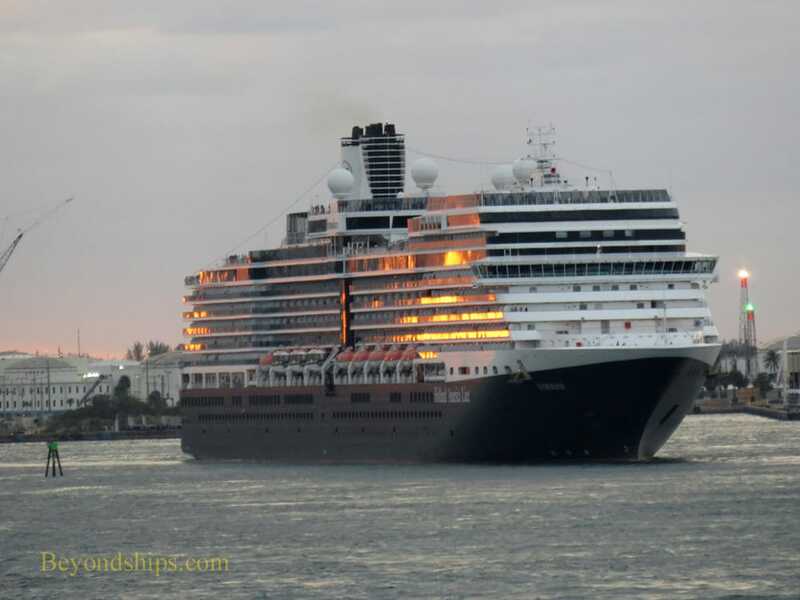 While most of the cruise terminals are in the rectangular area known as Lake Mabel, Eurodam is at one of the terminals along the adjoining Stranahan River, part of the Atlantic Intracoastal Waterway. 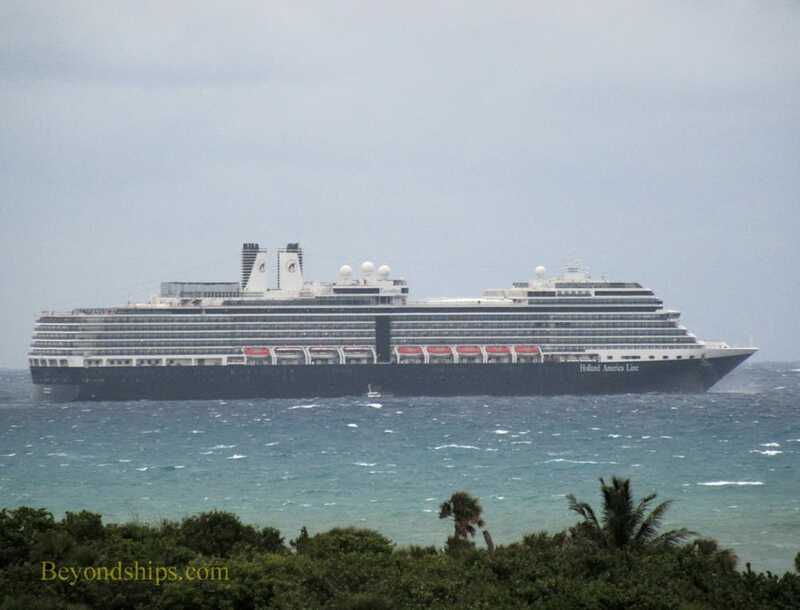 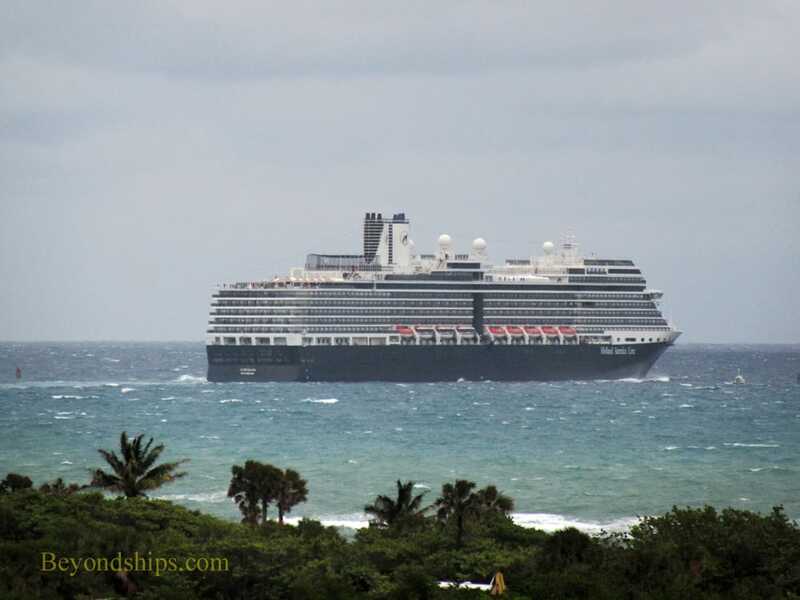 By late afternoon, the sky has become overcast and with her new set of passengers aboard Eurodam sets out. 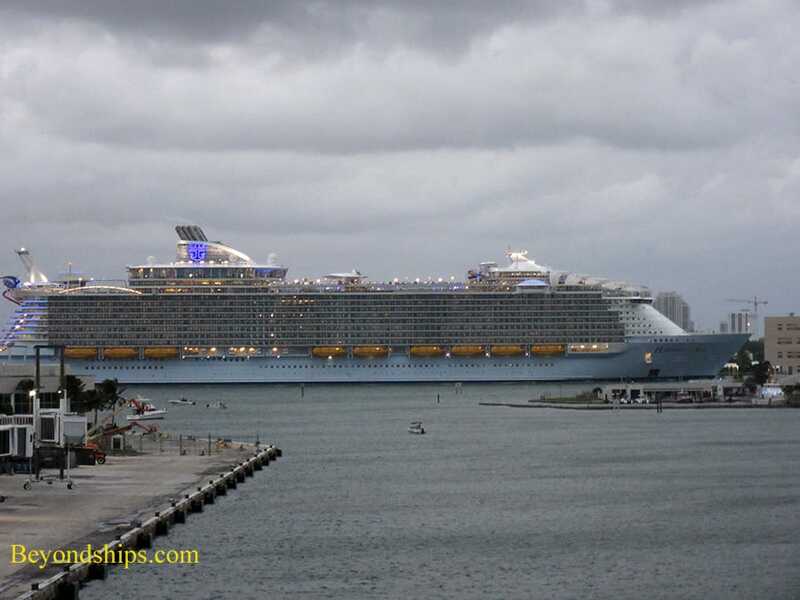 At the point where the river enters Lake Mabel, Eurodam has to pause to let Harmony of the Seas pass. 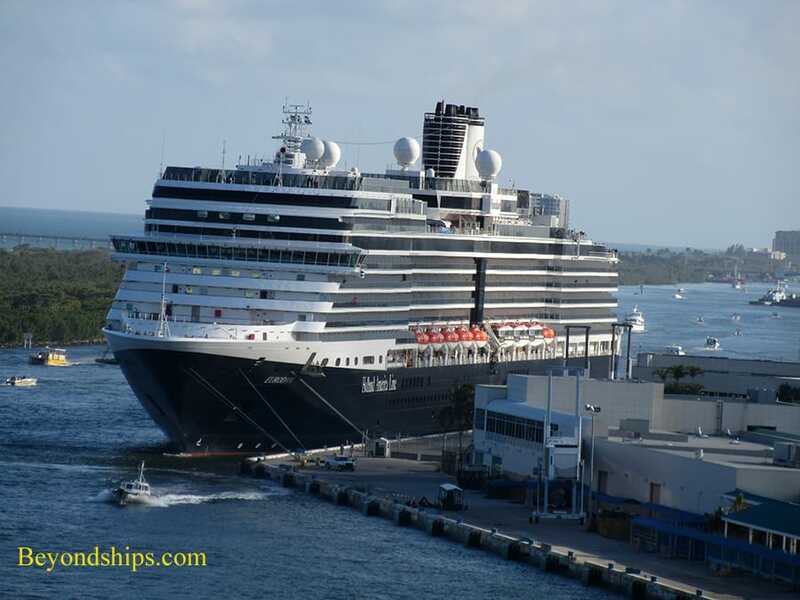 Once the other cruise ship has gone by, Eurodam turns into the entrance channel for the harbor. 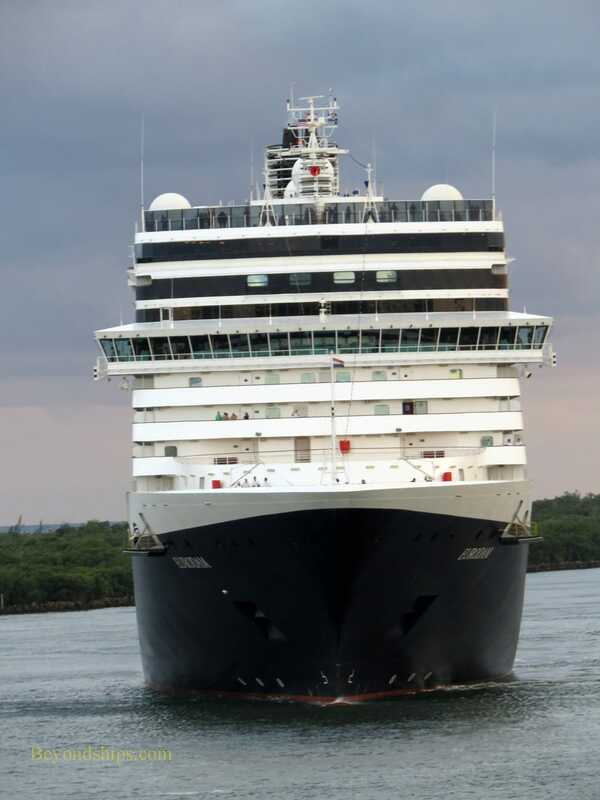 As she does, light from the setting sun gives a brief touch of color to her white superstructure. 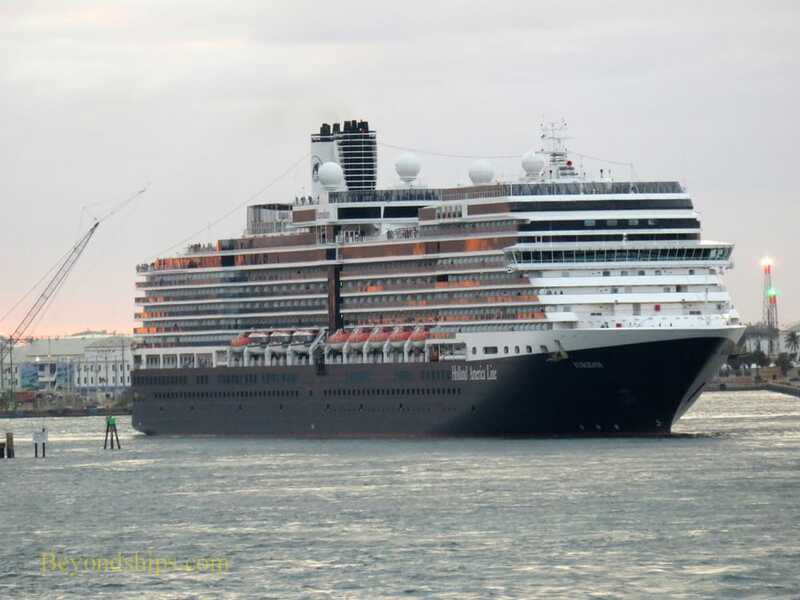 Once outside the harbor, Eurodam turns south and heads down the coast.